Are you a young African between the ages of 18 and 35? Do you have a passion for youth participation in the transformation of agribusiness in Africa?Then this program is for you, hurry and apply now for the Fully Sponsored Africa Youth in Agribusiness Day Challenge for Young African 2017. About the Award: Here is your chance to win sponsorship from the African Agribusiness Incubators Network (AAIN) and partners to represent the youth from your country at the 2017 edition of the 5th October “Africa Youth in Agribusiness Day” during the forthcoming 2017 Africa Agribusiness Incubation Conference and Expo that will run from the 8th to the 10th of November of October in Dakar, Senegal. To Be Taken At (Country): Dakar, Senegal. Value of Award: The top 20 winners also stand a chance to earn a fully-sponsored trip to selected incubators in Africa, Asia and Europe. Get acquainted with the history of the “Africa Youth in Agribusiness Day” and the “Africa Agribusiness Incubation Conference and Expo”. Do your homework on global business incubation, opportunities in ICT integration in agribusiness, AAIN core investment areas, the 2017 theme of the African Union, the Comprehensive Africa Agriculture Development Programme (CAADP) and Agenda 2063. Submit your essay by email with subject line “2nd Africa Youth in Agribusiness Day Challenge” to info@africaain.org before the 1st of September, 2017. 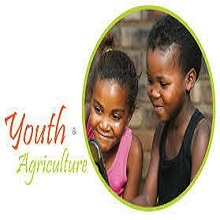 Take a photo of African youth engaging in an agribusiness activity, upload it to twitter with the promotional flyer (downloadable from tweet pinned to the AAIN twitter page or website www.africaain.org) and put hashtag #AfricaYouthinAg2 and tag the official AAIN twitter page @AAINOnline. The more likes you get the better. Reply to the latest upload to our official Facebook page with the photo of African youth engaging in an agribusiness activity and put hashtag #AfricaYouthinAg2, type your first name and country. The more likes you get, the better.